Good vs. evil... again. 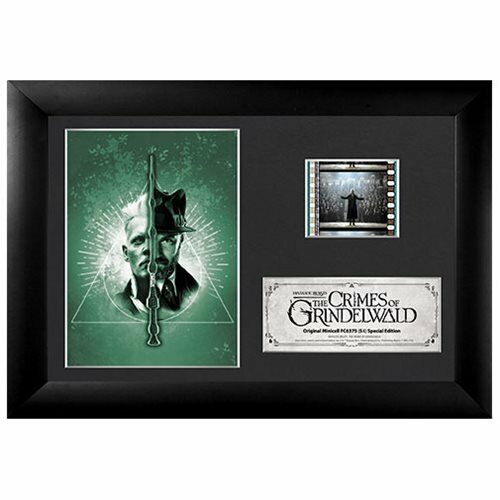 The 7-inch wide x 5-inch tall Fantastic Beasts: The Crimes of Grindelwald Series 4 Mini Film Celll features a dramatic image of Grindelwald and Dumbledore in the Deathly Hallows symbol on a mystical green background. 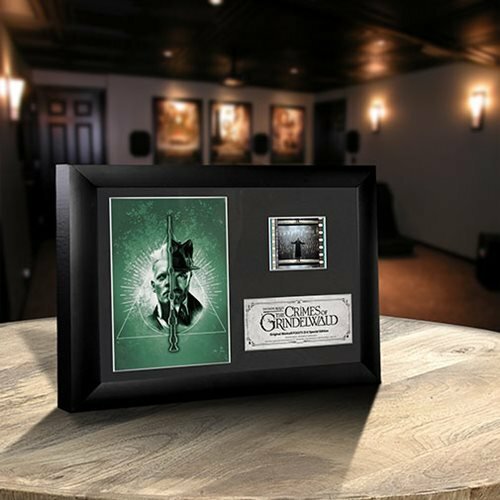 Included on the special edition easel-backed presentation is a high-quality image, a certificate of authenticity, and one clip of authentic 35 mm film from the movie. 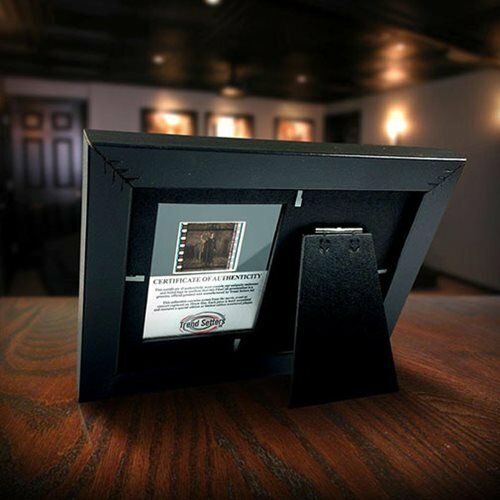 The clear acrylic back allows natural light to illuminate the film cell! Made in the USA.